Travelling and want to spent some time on the best things to do in Athens? We focus on walking photo tours in Athens, so we gathered some of the most interesting places for you to visit while in town! Most of those sights we cover thru one of our walking photo tours in Athens city. If you still have not decided what to do in Athens, send us an email or give us a call for help! 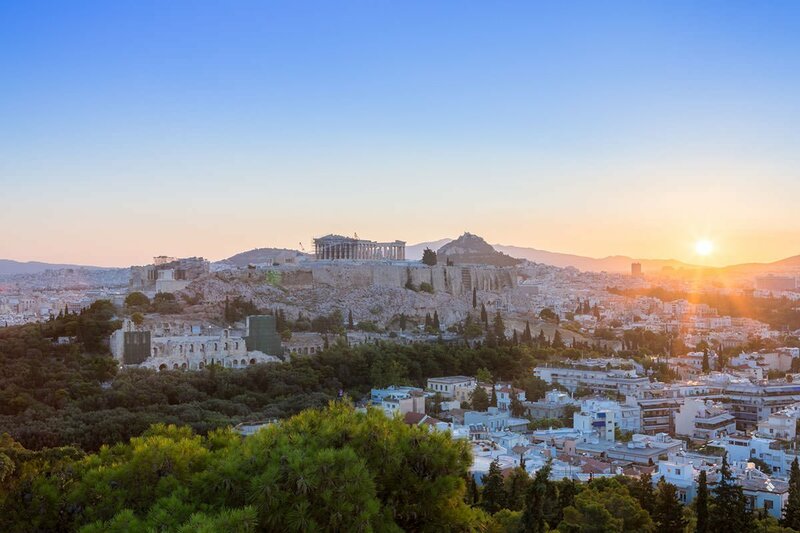 The greatest and finest sanctuary of ancient Athens, probably on the top of the list of all Athens attractions, dedicated primarily to its patron, the goddess Athena, dominates the center of the modern city from the rocky crag known as the Acropolis. The Acropolis of the fifth century BC is the most accurate reflection of the splendor, power and wealth of Athens at its greatest peak, the golden age of Perikles. A Committee for the Conservation of the Monuments on the Acropolis was created in 1975 with the aim to plan and undertake large-scale conservation and restoration on the Acropolis. The project, is still in progress. Full: €20, Reduced: €10 (only from October to March) available only at the ticket office. Travelling to Athens, Greece? Best Photo Tours you can experience! We feature daily tours in Athens, Full day private photo tour in the capital of Greece, plus weekly tours in the amazing Aegean islands of Santorini and Milos. If you are more of a mountain enthusiast take a look at our weekly tour in Northern Greece as we visit the famous Meteora mountains in Kalambaka. If you can spare more days and feel more adventurous our 8day Greece photo tour is one of the best options. Anafiotika is a scenic tiny neighborhood of Athens, part of old historical neighborhood called Plaka. It lies in northerneast side of the Acropolis hill. First houses were built in the era of Otto of Greece when workers from the island of Anafi came to Athens in order to work as constructor workers in the refurbishment of King Othon’s Palace. Soon, workers from other Cycladic islands also started to arrive there, to work as carpenters or even stone and marble workers, in a further buildings reconstruction period in Athens, but also in the following era after the end of the reign of King Otto. 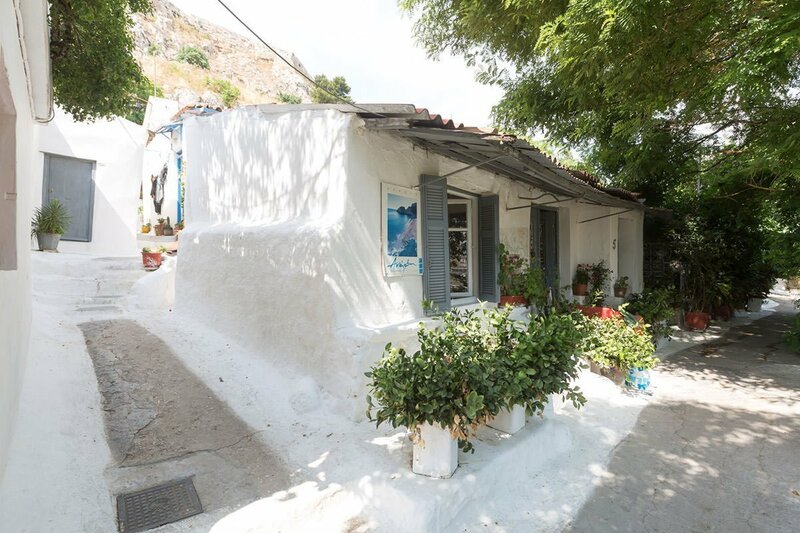 Nowadays there are only 45 houses remaining, while the little streets from Stratonos to the Acropolis rock are still unnamed and the houses are referred to as “Anafiotika 1”, “Anafiotika 2” etc. Houses are small and mostly cubic, small streets that often end up to ladders or even deadends at terraces, where one can sit and enjoy the night view of the city. Definitely one of the best things to see in Athens! The monuments of the Acropolis have withstood the ravages of past centuries, both of ancient times and those of the Middle Ages.By the 1970s, the Museum could not cope satisfactorily with the large numbers of visitors passing through its doors. The inadequacy of the space frequently caused problems and downgraded Today, the new Acropolis Museum has a total area of 25,000 square meters, with exhibition space of over 14,000 square meters, ten times more than that of the old museum on the Hill of the Acropolis. The new Museum offers all the amenities expected in an international museum of the 21st century.the sense that the exhibition of the masterpieces from the Rock sought to achieve. Check out opening hours & tickets cost here. On the top of the list of Athens tourist attractions. Mount Lycabettus, also known as Lycabettos, Lykabettos or Lykavittos, is a Cretaceous limestone hill in Athens, Greece. At 277 meters (908 feet) above sea level, the hill is the highest point in the city that surrounds it. Pine trees cover its base, and at its two peaks are the 19th century Chapel of St. George, a theatre, and a restaurant. The hill is a popular tourist destination and can be ascended by the Lycabettus Funicular, a funicular railway which climbs the hill from a lower terminus at Kolonaki (The railway station can be found at Aristippou street). Most of the days cable car operates every 30 mins, expect on rush hour (every ten minutes). It usually runs from 09:00 till 00:00 every day. Tickets vary from 3,5 euros to 7 euros (prices early 2015). Plaka is the old historical neighbourhood of Athens, clustered around the northern and eastern slopes of the Acropolis, and incorporating labyrinthine streets and neoclassical architecture. Plaka is built on top of the residential areas of the ancient town of Athens. It is known as the “Neighbourhood of the Gods” due to its proximity to the Acropolis and its many archaeological sites. If you need a break from walking head to Mnisikleous str., where you will find lots of coffee shops in a area called “Skalakia” meaning stairs in English. 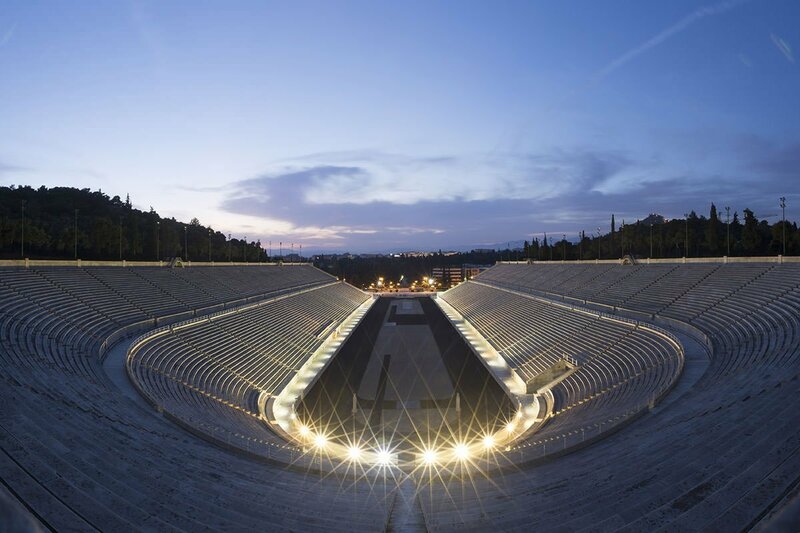 The Panathenaic Stadium, also known as the Kallimarmaro (meaning the “beautifully marbled”), is a multi-purpose stadium used for several events and athletics in Athens. The Stadium hosted the first modern Olympic Games in 1896. Reconstructed from the remains of an ancient Greek stadium, the Panathenaic is the only stadium in the world built entirely by marble (from Mount Penteli) and is one of the oldest in the world. It could once seat about 80,000 spectators on fifty rows of marble steps and currently holds 45,000 spectators. Have a look at the official website. Tickets available from 2,5 euros to 5 euros and you get an audio guide tour which is available in 11 languages (Greek, English, French, German, Spanish, Italian, Russian, Chinese, Japanese, Portoguese and Arabic). 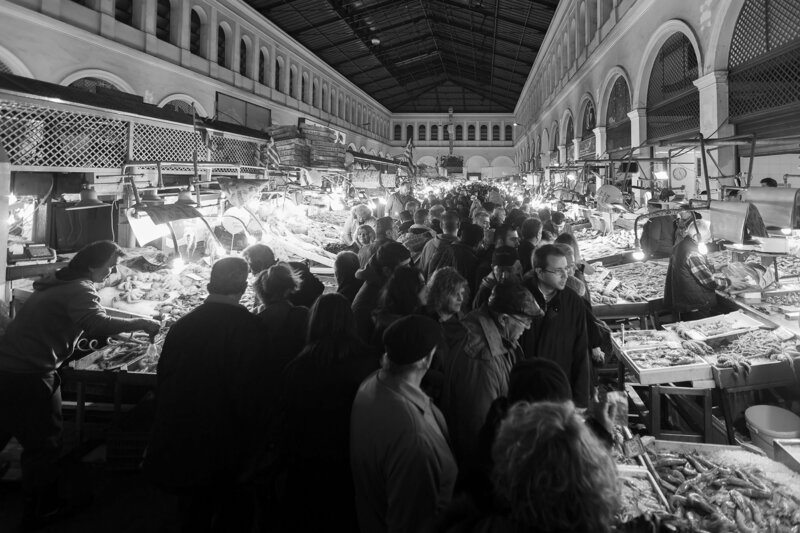 Also known as Varvakeios Agora, where you can buy not only meat but also fish and vegetables every day from 08:00 to 18:00. It’s situated on Athinas str, between Omonia square and Monistiraki square. Nearby restaurants serve the best and most fresh food you will find in Athens. The place tends to get really crowded in different times of the day. Not to get confused with Roman Agora or Ancient Agora which actually are ancient buildings in Plaka and Monastiraki area. It’s one of the oldest and most colorful markets in Greece and certainly the biggest. 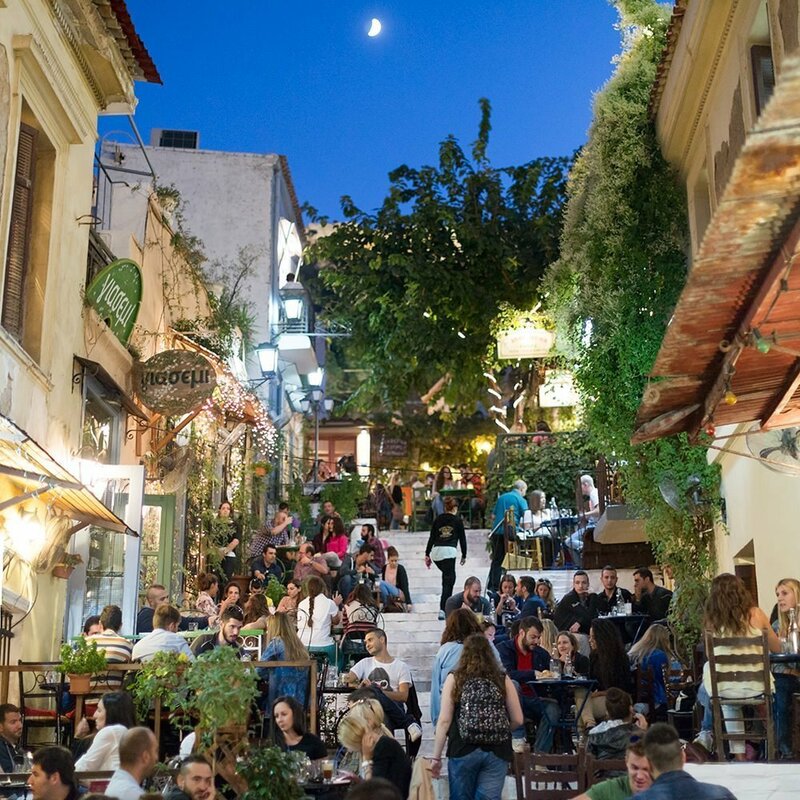 For more than a hundred years is the most vibrant commercial point in Athens. Varvakios agora also houses small traditional taverns. They are very old with a great history. The most popular dish is the patsas. Patsas is made from pork’s stomach. It is a soup of chopped pieces of meat. It is seasoned with skordostoupi – a mix of vinegar and garlic. It is a great cheap and popular delicacy. It is also used as remedy after heavy drinking. The market is supported by excellent public transportation. It is close to all lines of metro and nearby there are many bus lines. On the other hand, for those who prefer car or taxi transportation, the place is hell. During working days and hours the historical center of Athens is incredibly congested. Parking is a big issue. Bellow the vegetable market is a big underground parking area. In a maritime country like Greece, the god of the sea occupied a high position in the divine hierarchy. In power, Poseidon was considered second only to Zeus (Jupiter), the supreme god himself. The temple at Cape Sounion, Attica, therefore, was a venue where mariners, and also entire cities or states, could propitiate Poseidon by making animal sacrifice or leaving gifts. 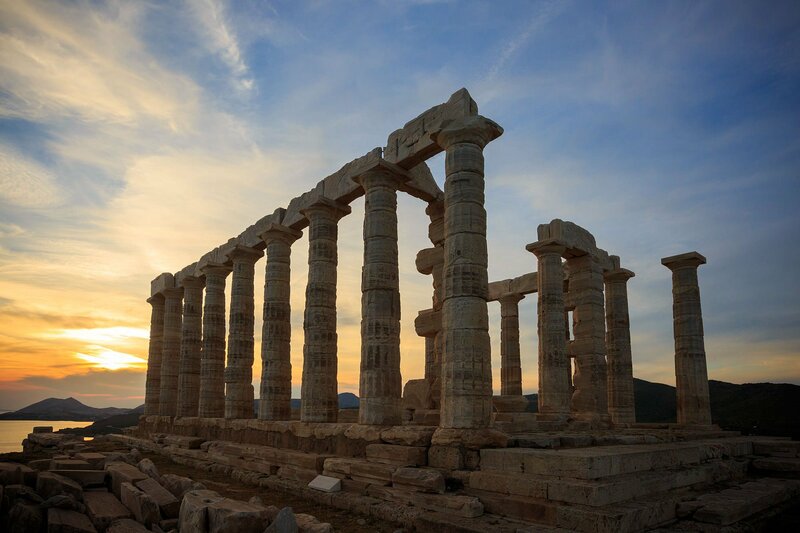 The temple of Poseidon was constructed in 444–440 BC, over the ruins of a temple dating from the Archaic Period. It is perched above the sea at a height of almost 60 metres (200 ft). The design of the temple is a typical hexastyle, i.e., it had a front portico with six columns. Only some columns of the Sounion temple stand today, but when intact it would have closely resembled the contemporary and well-preserved Temple of Hephaestus beneath the Acropolis, which may have been designed by the same architect. Every first Sunday from November 1st to March 31st 28 October. Cine THISIO is an open air cinema and therefore is not opened in winter . Each year opening date depends largely on weather conditions. Typically, the operation of the cinema begins the last week of April or the first week of May and ends in late October. Fun fact! Did you know that CNN featured Cine Thiseion as the world’s most enjoyable movie theater? Check their website for movies, program and tickets. It is said that the picture of saint Marina was found in a cave where the church was later build (established 1927). In the church you will have the chance to see christian drawings from the 13th century. The cave on the right side of the church is spectacular, worth your visit. In its present form, the church has a cruciform plan with a dome in the middle and four smaller domes on the corners. The interior was decorated by mural paintings during the 1930’s, mostly by the painter Graikos and Kandris. This was also when the wooden screen was crafted, designed by the architect Georgios Nomikos. 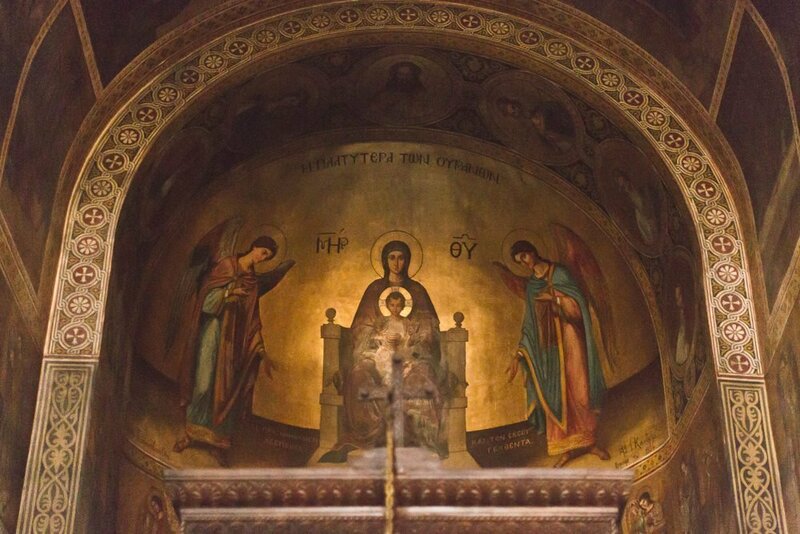 The mural paintings form a rare example of religious painting in Greece, influenced by the Jugendstil of Central Europe. South-east of the church is a small Byzantine church carved into rock, next to the one the new church was built on. This small church is also dedicated to Saint Marina. It must have been built between the 11th and 12th century. Wall paintings dating back to the 17th and 19th century were found inside. Most of them were removed and placed on the northern part of the new church. The smaller church’s side walls still have several 17th century mural paintings.